This is a program in detailed discussion of the Articles of Fundamental Principles and Statues of an Actual Divinely Realized Being, expressed within these 2, 3 & 4 dimensions of seeming separated experience. 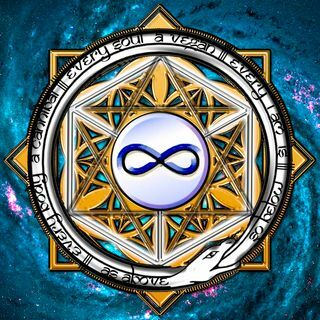 For Leagl reasons, it has taken on a name, and organization of what it is as experiences of all ... See More eternity, and the ten dimensions of all reality. If it must be defined, it shall be named: "UNDEFINABLE & EXPANSIVE" - These Religious Statutes are in place in consideration of the residual archaic mindsets that is evidence of the belief that it is important to define something to constitute its status and validity. While these are only short, basic understandings of the perimeters of this Religious Practice in no way is the actual practice confined to its limits.